GRIP-MATIC Mechanical Pencil 0.5mm or 0.7mm: Replaceable leads. Built-in eraser under the cap and refillable with HB leads. When drawing there is no need twist the tip, the lead comes out automatically. The comfortable rubber grip zone makes writing a pleasure. Choose between two line thicknesses: the 0.7mm lead for particularly break-resistant writing or the 0.5mm lead for fine writing. 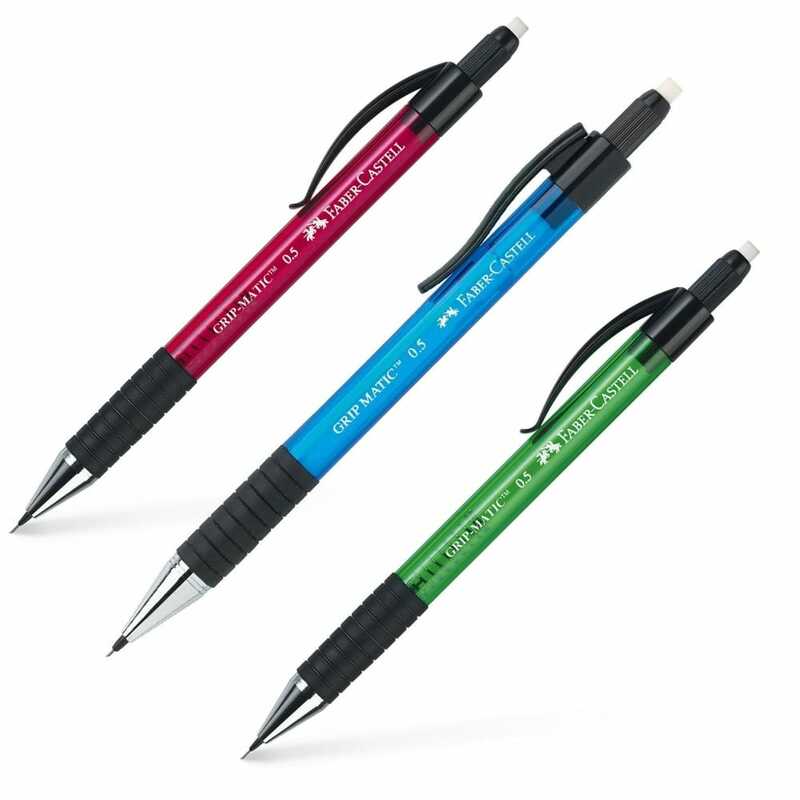 The GRIP MATIC is available in 3 attractive translucent colours, each equipped with a twist-out eraser in the end cap. The lead can of course be fully retracted so it can be carried in pockets.